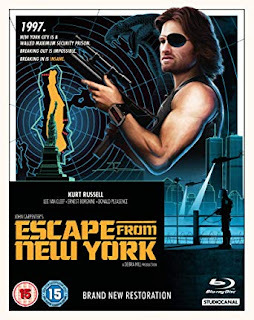 This two-disc release of the 1981 classic, Studiocanal put a lot of work into this title (as they did with the other three Carpenter titles which will be talked about later.). The blu-ray’s transfer is taken from a recent 4K remaster and the results are amazing. This is the best the film has ever looked with detail being high and the darkness of New York being inky black. 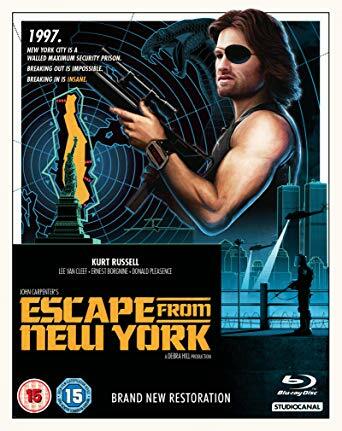 There have been a few releases of Escape from New York on blu-ray in the past, but this is the best. The special features are a mixture of good and not so good. The not so good is the omission of a few features that have been on almost every other blu-ray release of the film. These features are not numerous, but if you are a fan of this film, they do feel missed. The good comes in the form of the features were carried over, which is always a plus. We also got a brand new documentary covering the making of the film. The doc is produced by Daniel Griffith, through his company Ballyhoo Motion Pictures and, as always, gives us something that provides us with a ton of information while being something that we will see again. The Fog had a lot going against it. The film went through a nice production period but faced obstacles once Carpenter and company got into the editing room. Reshoots were done to add to the film after test screenings went poorly. This was also the first film that Carpenter made after the mammoth success of his Halloween two years prior. 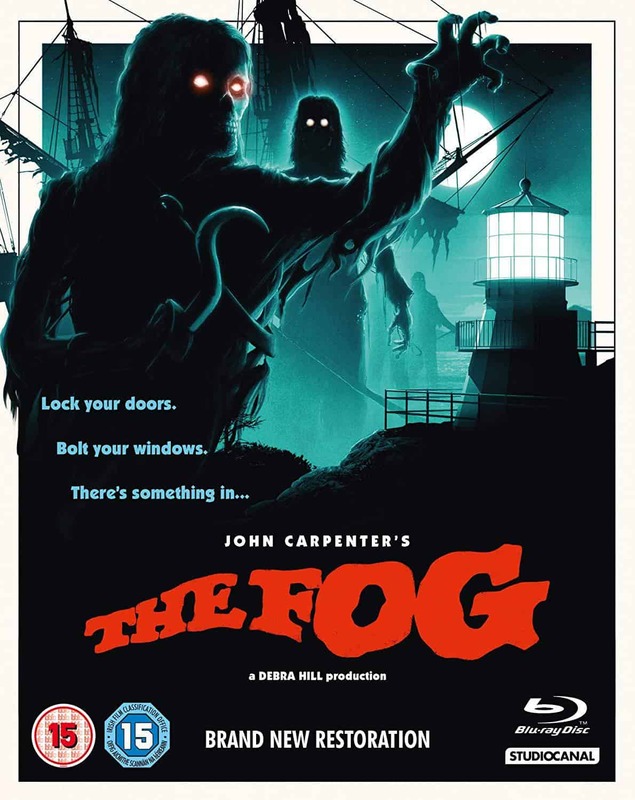 The Fog turned out to be a really great film with some real, genuine scares, and a score that would rank as one of Carpenter’s best. Over the years, there have been quite a few home media releases with the Scream Factory release being the best thus far. Studiocanal enters the fray with this two-disc edition that gets the picture and the sound right but loses some points when it comes to the special features. This is another release that is based on a 4K remaster and the results are great. Darkness plays a huge role here and this transfer handles that with ease. The special features are again headed up with another doc from Ballyhoo which brings on a greater appreciation for the film. There is also a featurette about the films that Carpenter had been attached to over the years. These, and the carried over features are all great, but there is a making of and a newer interview with Jamie Lee Curtis that are sadly not found on this disc. That being said, this is still a release worthy of being in any Carpenter fan’s collection. This third of the four Studiocanal Carpenter releases, Prince of Darkness is given grand treatment on blu-ray. The picture and sound quality are simply beautiful and the special features package is some of the best of any of these releases. Another wonderful Ballyhoo doc along with some great carried over features make this a wonderful addition to the huge blu-ray collection of Carpenter. 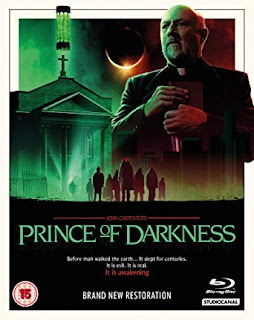 The last blu-ray on this list is the film that marked the end of Carpenter’s “Golden Era” which ran from 1976 to 1988 (I say it ran from 1974 and the release of Dark Star, but I understand why some don’t count that film). 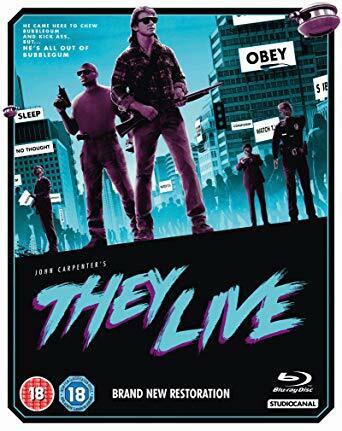 They Live is a fantastic sci-fi satire that is just as relevant today as it was 30 years ago. The blu-ray is really great with the picture and sound standing out. The making of doc, from Ballyhoo, is great as well, and the carried over features just add to the overall enjoyment of the film.